‘Tis the season to host family and friends, so kick off the holidays with a festive drink. 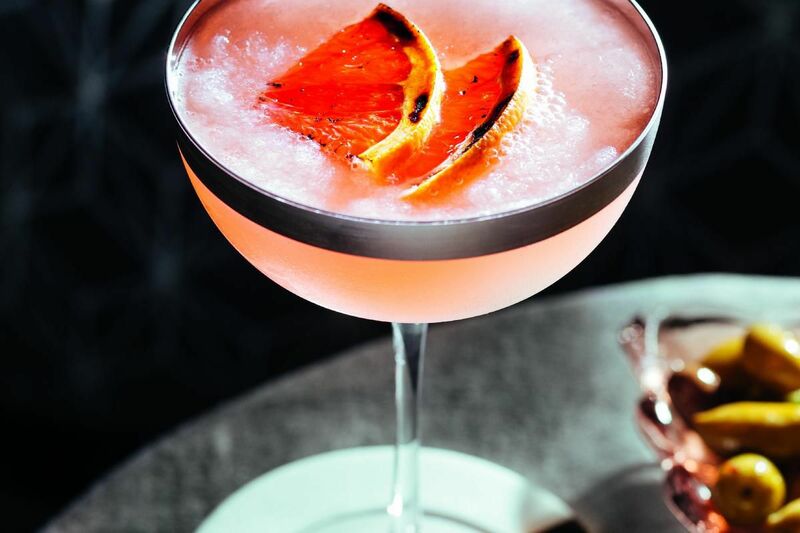 My frosty grapefruit cocktail is just the ticket, thanks to seasonal citrus and vodka. I like to use vodka infused with bison grass—a fragrant plant with subtle earthy notes—but the regular stuff works just fine. Crush ice in a blender with freshly squeezed grapefruit juice, grapefruit syrup (store-bought, or even better, check out my recipe online for a homemade version) and vodka, then garnish with a grapefruit slice for a welcoming, thirst-quenching drink. On a work surface, cut 1 round slice of grapefruit from one of the grapefruit halves. Juice the remaining grapefruit to obtain 1/4 cup (60 ml) of juice. Cut the grapefruit slice into 4 pieces and place on a baking sheet. Sprinkle with sugar. Quickly caramelize using a culinary torch or under the broiler. Let cool. In a blender, finely crush the ice with the grapefruit juice and the remaining ingredients until frothy. Pour into two martini or margarita glasses. Garnish with the caramelized grapefruit pieces. Note: Grapefruit syrup can be found in most grocery stores.